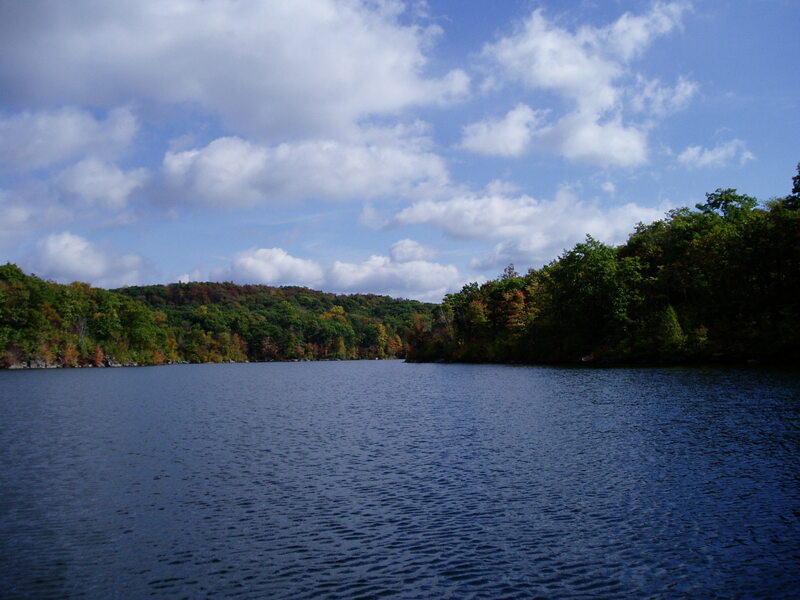 NJDEP initiated, in 2005, a renewed ambient lake monitoring network designed to provide the water quality data necessary to assess the ecological health of the State's lentic water resource. This program involves the testing of randomly selected lakes from the state's approximately 870 named lakes. The water quality measurements conducted at each lake includes parameters such as dissolved oxygen, pH, nutrients, and chlorophyll a. Such testing will assist New Jersey in determining the status and trends in lake water quality, as needed to meet our Clean Water Act requirements and our Total Maximum Daily Load (TMDL)-related water quality assessment obligations. Water Monitoring & Standards, Bureau of Freshwater & Biological Monitoring has worked to develop a monitoring program that would address both the deficiencies cited in the 1999 USEPA's Office of Inspector General's Audit Report, and the needs of the watershed management and water quality assessment (305(b)/303(d)) programs. This approach comports with the guidance provided in USEPA's publication, "Elements of a State Water Monitoring and Assessment Program," March 2003, which requires that states develop and implement long-term strategies which include monitoring of all state waterbody types, including lakes. Target Population: All lakes, man-made or natural, excepting water supply reservoirs, wholly or partially within the State of NJ political boundaries. A lake is defined as a permanent body of water of at least two hectares in surface, and a minimum depth of one meter. Lakes were selected randomly, using the USEPA - Generalized Random Tessellation Stratified (GRTS) survey design, but in a manner that equalizes selections over all Omernik level III ecoregions (6 within state). The New Jersey GIS coverage containing approximately 870 named lakes, meeting the design criteria, was used for the selection process. Network Stations: The network consists of 200 lakes, each sampled once every five years, with forty lakes sampled per year. Depending on the lake size and characteristics, up to four sampling locations will be monitored in each lake. Lakes not exhibiting temperature stratification will be sampled at one meter below the surface, unless the lake is too shallow, in which case the sample will be taken at a depth of one-foot below the surface. Lakes exhibiting stratification will be sampled above and below the thermocline. Depth to bottom will be measured at each station (see below for list of approximately 40 lakes to be sampled this year). Sampling Frequency: All lakes in the network will be sampled once every five years, with each lake being sampled twice during the year (growing and non-growing season). Monitoring Parameters: Total Phosphorus, Total Kjeldahl Nitrogen, Total Nitrite+Nitrate Nitrogen, Ammonia Nitrogen, Dissolved Oxygen, pH, Temperature, Specific Conductance, Alkalinity, Hardness, Secchi depths, Chlorophyll a, and cyanotoxins will be collected and analyzed at each station. Qualitative evaluations of algal blooms and aquatic vegetation will be performed at each lake. Probabilistic selection of network lakes completed by USEPA-ORD and list of 200 candidates, plus extra for alternates chosen. All of the monitoring data collected for this network will be uploaded into the national USEPA STORET/WQX data base. Panel 1, (1st group of forty lakes) completed (2005). Report now available. Panel 2, (2nd group of forty lakes) completed (2006). Report now available. Panel 3, (3rd group of forty lakes) completed (2007). Report now available. Panel 4, (4th group of forty lakes) completed (2008). Report now available. Panel 5 (5th group of forty lakes) completed (2009). Report now available. Panel 1, Round 2 (1st group of forty lakes, second Round of sampling) completed (2010). Panel 2, Round 2 (2nd group of forty lakes, second Round of sampling) completed (2011). Panel 3, Round 2 (3rd group of forty lakes, second Round of sampling) completed (2012). Panel 4, Round 2 (4th group of forty lakes, second Round of sampling) completed (2013). Panel 5, Round 2 (5th group of forty lakes, second Round of sampling) completed (2014). Panel 7, Round 1 (Start of new lake network) completed (2015). Panel 7, Round 2 (Start of new lake network) completed (2016). Spring 2019, sampling scheduled to be initiated. Lake site locations can be accessed via NJDEP´s interactive web mapping application NJ-Geoweb ( https://www.nj.gov/dep/gis/geowebsplash.htm ) under the Ambient Water Monitoring profile. For additional information, please contact Johannus Franken at 609-292-0427. This ambient lakes monitoring project is part of a larger effort in the department to develop current water quality information on this vital water resource. For questions regarding dams, please contact the Bureau of Dam Safety & Flood Control at 609-984-0859. For questions regarding lake lowering permits, please contact the Division of Fish and Wildlife, Bureau of Freshwater Fisheries at 908-236-2118. For questions regarding lake dredging and restoration, please contact the Office of Engineering and Construction at 609-292-9236. For questions regarding fish consumption in lakes, please visit the Division of Science, Research, and Technology's Advisories on the Lake that I fish web page.